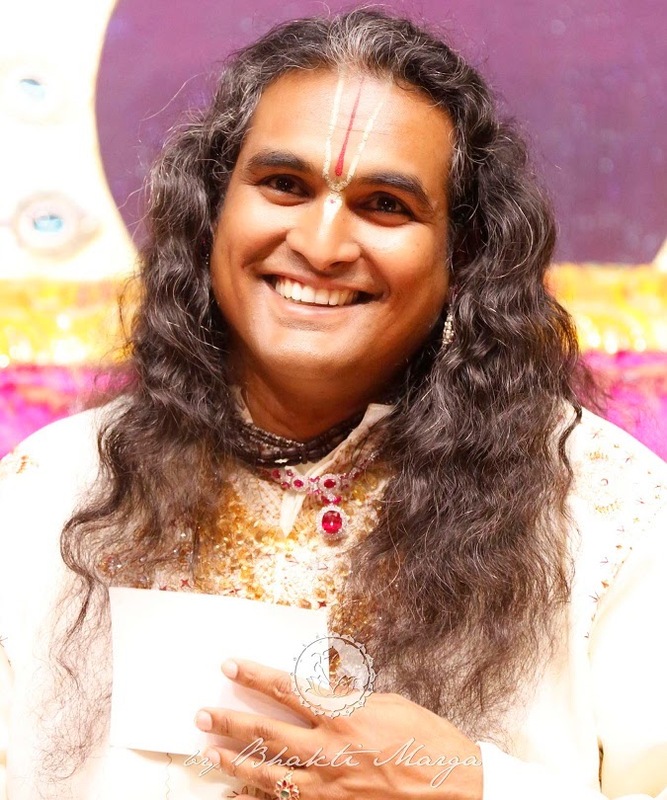 Paramahamsa Sri Swami Vishwananda / Bhakti Marga: Out of Love for humankind, God forgets that He is God, so that He can be close to you! Out of Love for humankind, God forgets that He is God, so that He can be close to you! 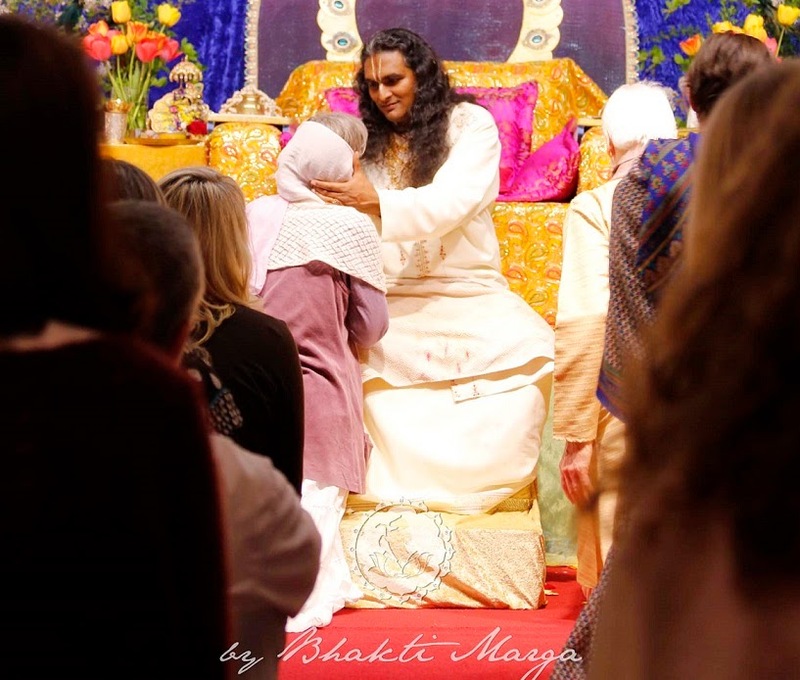 On the 24th and 25th April, at Shree Peetha Nilaya, several hundred people were graced with Sri Swami Vishwananda's Darshan in two consecutive days. Many more people around the world were also blessed with the possibility to see live streaming of the Darshan . 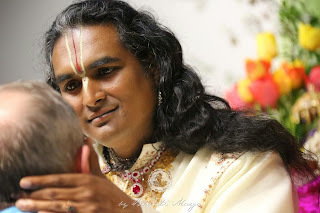 Sri Swami Vishwananda's unmatched Love and humility was once again clearly visible, as He stood up from His chair at the beginning of both events, and sat on the stairs leading to His chair, lowering Himself while giving Darshan. Firstly, we thought that He would stay there only while giving Darshan to children, but the hours passed by, on both days, and He kept giving Darshan seated on that uncomfortable seat for many hours straight. - Out of Love God forgets about Himself and becomes the servant. - Out of Love for humankind, God forgets that He is God, so that He can be close to us. “Jai Gurudev! I will sing Sabse Ūnchī, which means, ‘What is the greatest form of prayer?’ And you'll respond, Prema Sagāī, which means, ‘Love’. Why is the Love relationship considered to be the greatest form of prayer? Because when you pray you build up a relationship with God, and due to that relationship you can say that you belong to Him. If you just pray plainly and remember Him whenever you have a problem, what kind of relationship is that? There is no relationship at all, isn't it? A relationship has to be built. God offers Himself, but you also have to offer yourself. How can you offer yourself? You offer yourself through the Love that you have inside of you. He has placed this Love inside of you, so that you can build a Love relationship with Him, not with people. “When you call God, you have to be sincere. That's why the saints cry for Him, call Him, their hearts burn for Him. This is the Love that God is asking for. This is not just saying plainly, ‘I love You’ and then you step outside and forget. This is the Love – wherever you go, in whatever you do – everything is infused with that Love and you can always perceive Him in everything. However, for this to happen the mind has to be cleansed from all impurities. It's like a mustard seed. To get the oil from the mustard seed what do you have to do? Crush the mustard seed, isn't it? Otherwise, the oil is there but you can't see it. However, when the seed is crushed and the dirt is removed, then you'll get the oil. The same is with the mind.